Lydia Maria Child probably never imagined that when she wrote the song “Over the Hill and Through the Woods To Grandma’s House We Go” in 1844 that someday there would be an app for that. 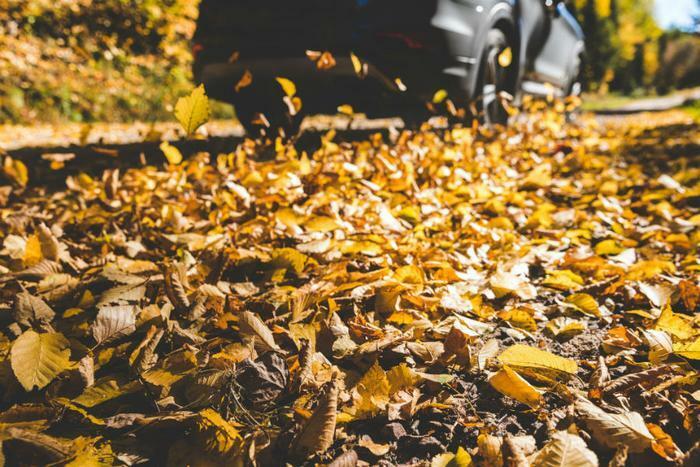 With Thanksgiving quickly approaching, holiday travelers might thank Google Maps for doing its homework in determining the best and worst times to leave for that Thanksgiving road trip. Those day-before journeys are most problematic in Philadelphia, Cleveland, Detroit, Raleigh, and Washington D.C. -- all metros where Wednesday-before-Thanksgiving traffic will be heavier than that of a typical Wednesday. Google’s data says that Black Friday traffic shouldn’t be any different than a normal Friday, but avoiding areas where’s there’s a heavy concentration of malls and big box stores would be a wise move. There is a feature inside of Google Maps that’s worth its weight in gold. When someone Googles, let’s say, “Kroger,” the results contain the typical listing, directions, phone number, hours, photos, Q&A, and reviews. 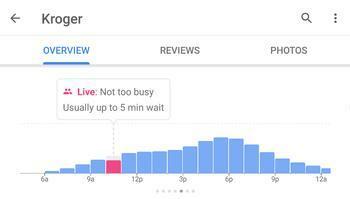 But if you scroll down past all of that, there’s a section called “Popular Times” with live data detailing when the heaviest store traffic is and how long the waiting lines are. When you’re stocking up for Thanksgiving and planning trips to the bakery, the grocery store, the liquor store, or looking for a restaurant to host a family get-together, this feature might come in handy. Besides maneuvering traffic, Google Maps’ folks have prepared a cadre of holiday survival tips that the search king thinks might come in handy between now and the end of the holiday season. Included are suggestions on pit stops, sharing your ETA (estimated time of arrival) with the folks at your destination, remembering where you parked the car, or how to collaborate with friends and family in planning a “what-do-we-do-next” moment. To access Google Maps’ complete set of features listed in this article, it would be wise to make sure your Google Maps app is up to date. Does Google know too much about us? Google Maps’ endgame is a far cry from an app purloining data to sell on the open market. Despite all the nefarious uses of personal data that consumers have sweated through with Facebook and others, Google appears to be very transparent about what data it collects and the power it gives the end-user in controlling the exchange of that data. Google demonstrates how it uses user data for its Maps app in the video below.